Whether we realize it or not, we all have a voice and can stand up against the forms of inequality that we encounter in our everyday lives. Even if it feels small, every bit matters. After starting to play basketball at just four years old, Riley Morrison fell in love with the sport. Now, the nine-year-old from Napa spends most of her time practicing her skills and playing for the St. Apollinaris Catholic Church basketball team of the Catholic Youth Organization in Napa. When she’s not playing basketball herself, the fourth grader at Napa Valley Language Academy likes to spend much of her free time watching her favorite basketball player, point guard Steph Curry, play for the Golden State Warriors, which also happens to be Morrison’s favorite NBA team. According to Morrison, she has been a longtime fan of Curry because of his impressive and dynamic basketball skills that lead to him being awarded MVP more than once as well as a few championship titles. And when Morrison goes to Warrior games with her dad, Chris Morrison, she always wears her No. 30 Warriors jersey to show support for her favorite player. When watching games at home, the nine-year-old often pretends to be Curry and tries to practice his strong playing style. “I try to play as best as I can like him with my ball handling,” Morrison told The Mercury News. However, Morrison isn’t Curry’s fan just for his talent on the court. For Morrison and other young female basketball players, Curry is a hero because of what he does when he’s not playing for the Warriors. Over the years, Curry has become an advocate for women’s rights issues and has spoken out in support of issues like equal pay. 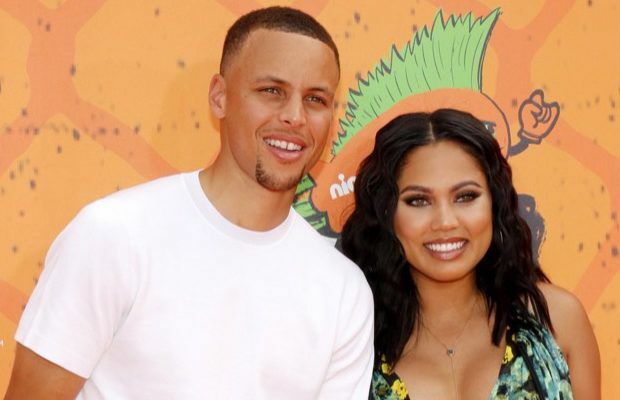 As a husband and father to two young daughters, Curry has become outspoken about how important it has become for him to support his wife, Ayesha, and their daughters. On top of spreading awareness about closing the pay gap, Curry has hosted a girl’s basketball camp to encourage young female athletes. So when Morrison was starting her basketball season this year, she needed to get new sneakers for the season as her old ones were getting too small and too worn. It didn’t take long for the 9-year-old to decide she wanted to play in Under Armour’s Curry 5 sneakers. After asking her dad about the sneakers, the pair went on the Under Armour website to look for Morrison’s dream shoes. Unfortunately, the Curry 5 sneakers weren’t available for girls. Apparently, the sneakers were only available on the website’s boys section. When Chris broke the news to Morrison that she wouldn’t be able to get Curry’s sneakers because they weren’t available in her size, she was understandably frustrated. “She looked at me and said, ‘Dad, that’s not fair,’” Chris told Teen Vogue about the disappointing situation. Chris could tell how upset his daughter was but suggested she do something about it if she felt it was unfair. “I said, ‘Well maybe you can write a letter,’” Chris explained. The nine-year-old immediately got to work drafting up her letter and made a list of points she wanted to address. “Dear Stephen Curry, My name is Riley (Just you like your daughter), I’m 9 years old from Napa, California,” Riley wrote in her letter. Morrison then went on to explain how big of a fan she is and that she likes watching him play when she get to attend Warriors games. Chris then posted a photo of his daughter’s letter online on November 18, 2018. “Her way of attempting to make a difference,” Chris wrote in a caption along with the photo. “Proud of her.” Shortly after posting the photo, a reporter at Vox sent the image in a tweet to Curry and asked him to help Morrison. That morning, Morrison read Curry’s letter with her dad. In the letter, Curry explained that he appreciated her concern and had spent two days working with Under Armour to fix the issue. Not only did they correct the issue and list the Curry 5 sneaker in the girls section, but he immediately had a pair sent out to Morrison. Curry then told Morrison she would be one of the first kids to get a pair of the Curry 6, which he later sent to Morrison for Christmas. “Lastly, we have something special in the works for International Women’s Day on March 8th, and I want you to celebrate with me,” Curry wrote.